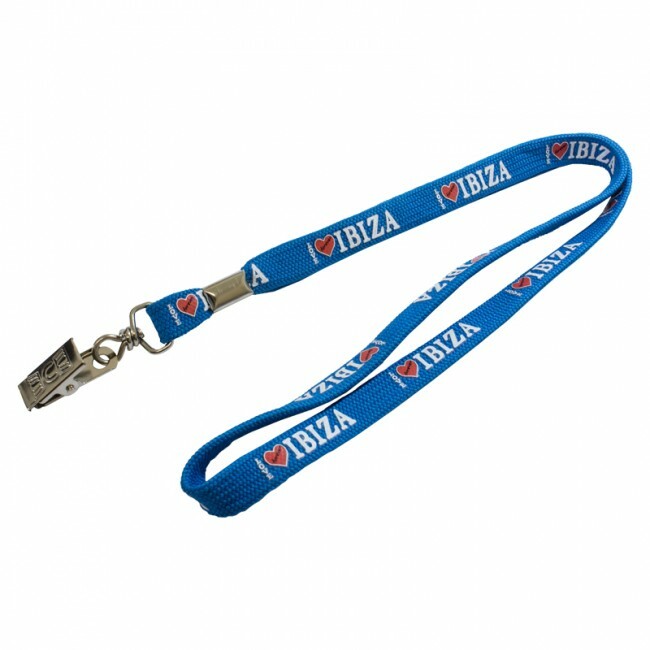 Tube polyester lanyards are easily wearable, highly comfortable and represent great value. An excellent choice for conferences and promoting events. 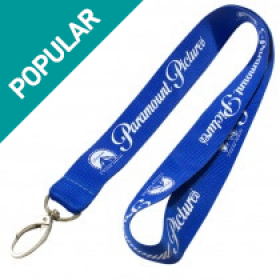 As this type of lanyard is a more economical alternative, it does have some restrictions regarding printing options. 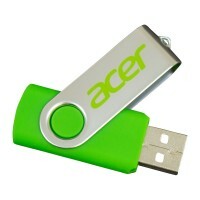 However, when designed correctly, they will look great with your company logo and information. 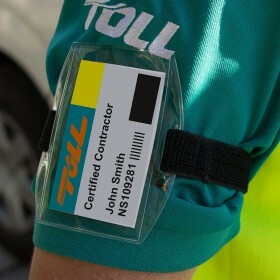 These lanyards are also more comfortable around the neck, so they offer a more utilitarian function for people on work sites. They’re also popular for our customers who prefer simplicity, convenience and/or a comfortable ID badge carrying solution for VIP passes or printed plastic cards used for area access. One of the reasons why these lanyards are popular with business owners is because they are durable and strong. You can also exercise the option of suspending a standard puller at the end of such a lanyard and use the ring of the puller to attach multiple objects. For instance, you could attach a pen drive or USB device, an ID card or even a whistle which can help you conduct sporting events. Although these cord lanyards have less printing options available, the idea is to use a cheap, yet effective solution. 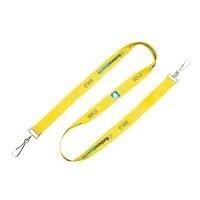 These lanyards are made to stand out with the name of your company printed on them, at a low cost. These lanyards can be used to conduct sporting events, business conferences, promotional events and so on. If you want an easy to maintain, good looking and strong lanyard, then choosing these cord lanyards is the right way to go. 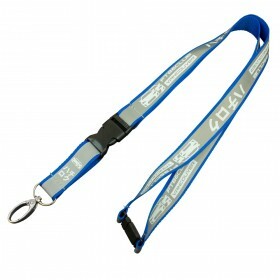 With the right kind of hooks and clips as attachments, these lanyards can be used for multiple functions at any event. 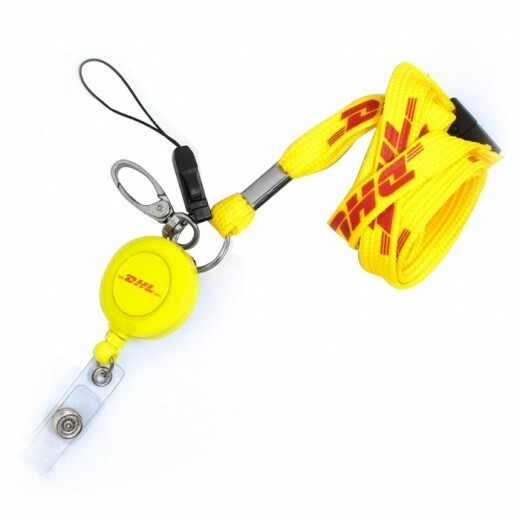 Most of the time, manufacturers will also have plenty of polyester lanyards in ready stock so timely delivery is another advantage that you can enjoy. In addition to color and branding customization, you can also customize the fittings and attachments that will go on the end of your polyester cord lanyards. Some of the fittings that we offer are more traditional, while other have unique qualities that are sure to help your business stand out. The traditional fittings that we offer include the crocodile clip, the split key ring, the dog clip, and more. We also offer whistle attachments and phone /camera holder attachments. The whistle attachments are great for sports teams, schools, camps, and more. Th phone/camera holders are ideal promotional gifts for employees that are required to carry around a phone or camera around on a daily basis. 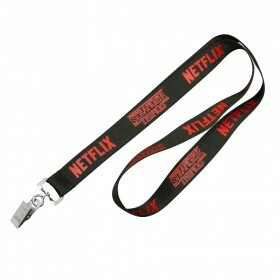 A lot of people add usb drives, tote bags or id badges to these lanyards when ordering. 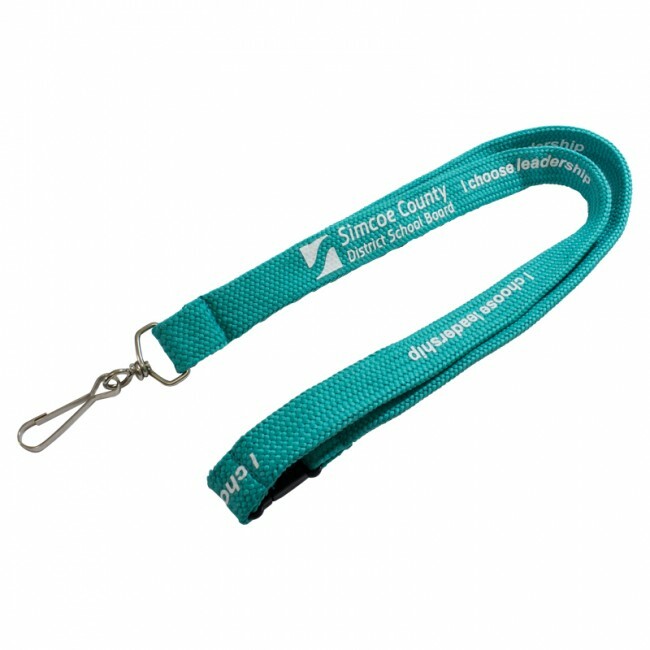 These lanyards are primarily used as an ID carrying solution at events, which is why we also offer various other conference items that can be bundled with your order to save on costs. With so many solutions, why would you look elsewhere? Customer satisfaction is our number one priority. That’s why we provide our customers with a virtual sample of their lanyards before the order goes into production. We also offer a price beat guarantee, and rush delivery services. 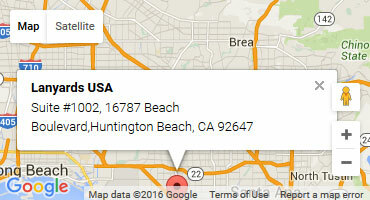 We want to make sure our customers are completely happy with their experience.